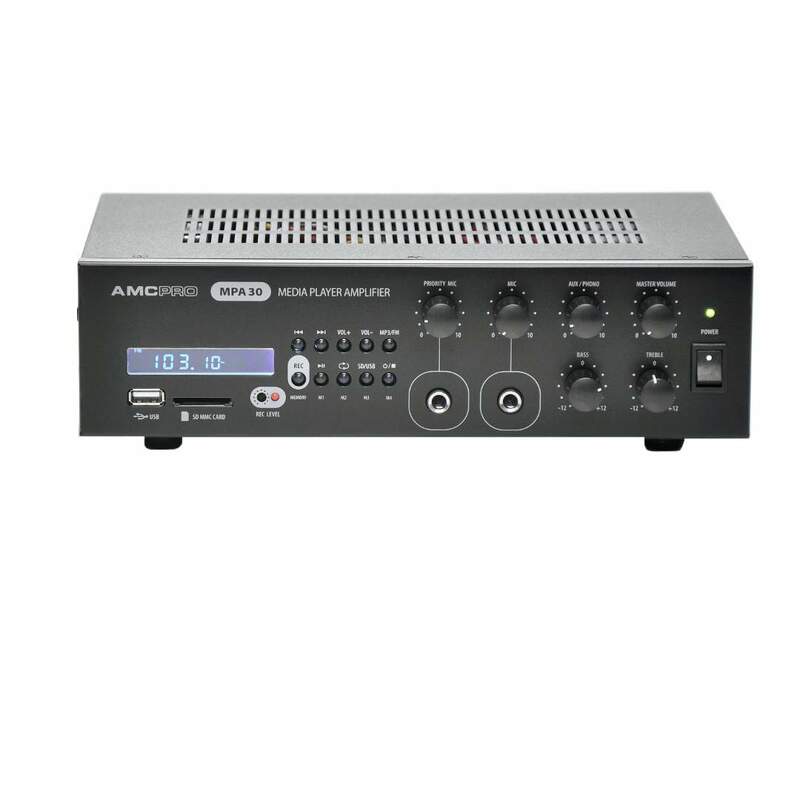 MA120 mixing amplifier for desktop or rack mount. 120W rated power mixing amplifier. Four microphone and 5 line inputs, phoenix connector outputs for 100V, 70V, 25V and 4 Ω speaker lines. Phantom power, priority input, tone control. Useful for small and medium application or as a component in a larger public address and voice evacuation systems.